KABUL: Acting and Nominee Minister of Information and Culture, Ms. Hasina Safi in a meeting with the in-charge of extraction project for Afghanistan development in the World Bank (WB), emphasized on further cooperation of the bank with her ministry, BNA reported the other day. The in-charge of the project for Afghanistan development spoke about the works and cooperation of the bank in the area of preservation of the country’s ancient relics and historical monuments, in particular around Mis-e-Ainak area, according to the agency. Building of a local museum in Mohammad Agha district of Logar Province, holding a photography exhibition from the relics discovered from the Mis-e-Ainak area, providing information about the relics through media for the people and conducting capacity development programs for the staff of the archeology department, were among the issues discussed in the meeting, the agency further said. Acting minister of information and culture praised the World Bank (WB) for its cooperation in preservation of the ancient relics and cultural heritages and emphasized on further cooperation of the bank with the ministry, the agency continued. 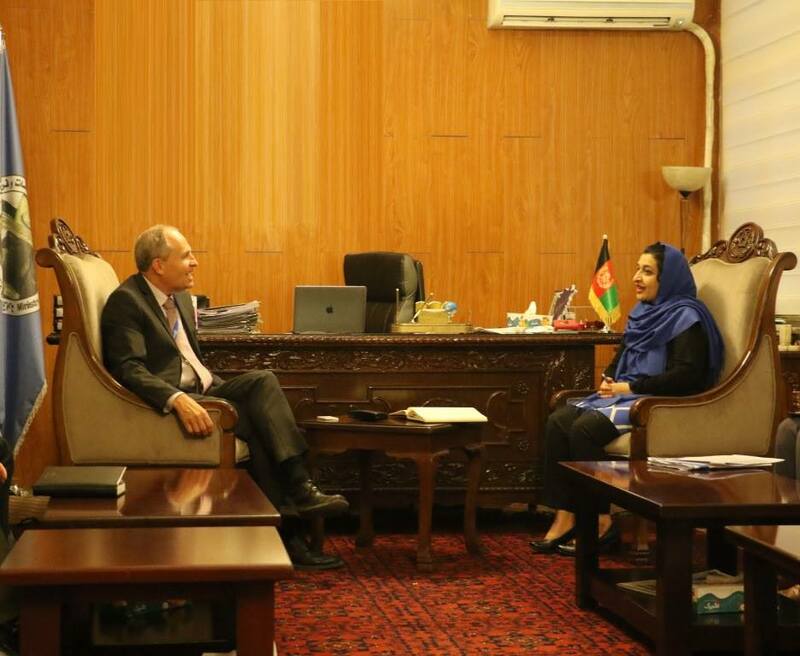 The in charge of the extraction project for Afghanistan development in the World Bank, also assured of the bank’s continued cooperation with the ministry of information and culture, the agency concluded.